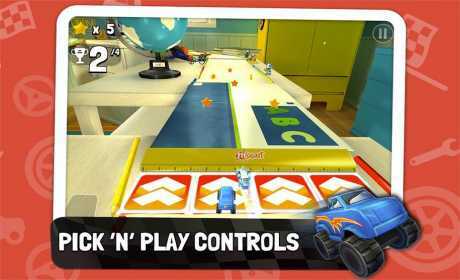 Magic Kinder Race is a racing game specially designed for children from 3 to 6 years old. 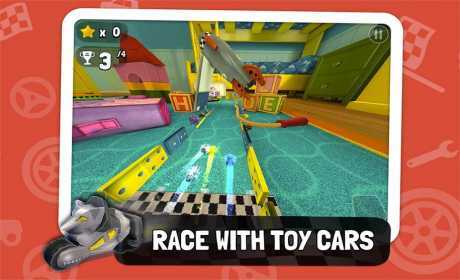 Players can select and drive their favourite toy surprise cars inside 36 colorful tracks. They have to collect stars along the race and move fast to become the champion and unlock more tracks and even more exciting cars. multiplayer mode: the same exciting gaming experience, the same vibrant and colourful world but a double fun. Magic Kinder Race is fun and entertaining for children of different ages and even for the smallest ones thanks to the easy and intuitive game controls. The game is part of the edutainment app for kids and family MAGIC KINDER which contains much more exciting content for families. 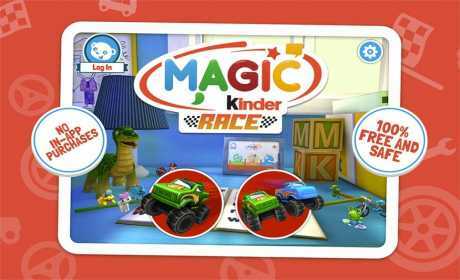 The multiplayer mode is available only for users of Magic Kinder app.